A self-portrait of Christopher McCandless in his camp on the Stampede Trail was found undeveloped in his camera after his death. 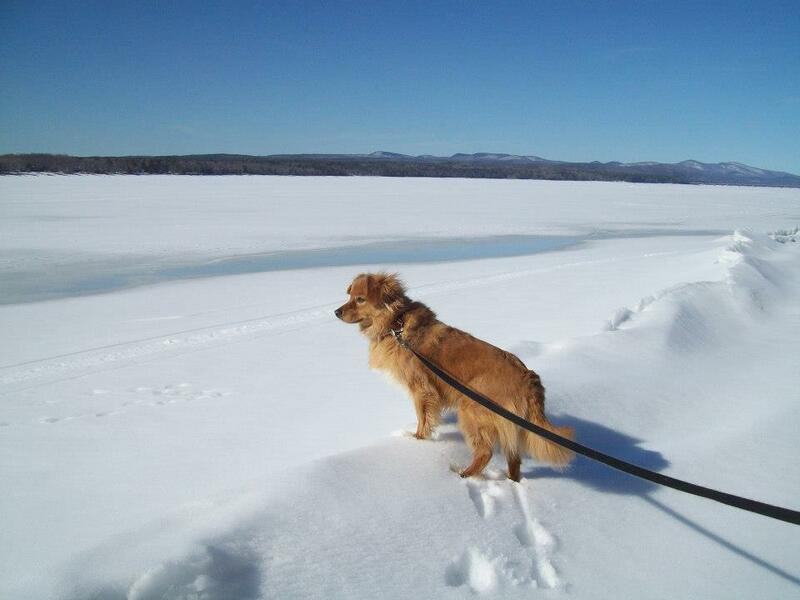 “Penny” watching the buzzing snowmobiles! In a few minutes we stumbled upon some deer fur; moments later finding a small area strewn with skull attached to spine and some gnawed ribs, a bent leg and hoof, the lower jawbone and more patches of hide. What was the life and death scene that left this grim memorial? Our only conclusion was that some coyotes felt themselves fortunate and that the “circle of life” is evident.